The International Cricket Council has released the ranking in cricket at the end of every month since June 2003 and since then quite a good number of teams have reached the top spot in the team ranking in Test cricket. However, the challenge for a team to hold on to that top spot has been really tough and fans have witnessed teams remaining at top for as long as six years to as short as only five days. India were recently crowned the number one Test team but after their last Test against West Indies ended in a tame draw due to poor conditions, they were replaced by their arch rivals, Pakistan as the number one Test team in the world. 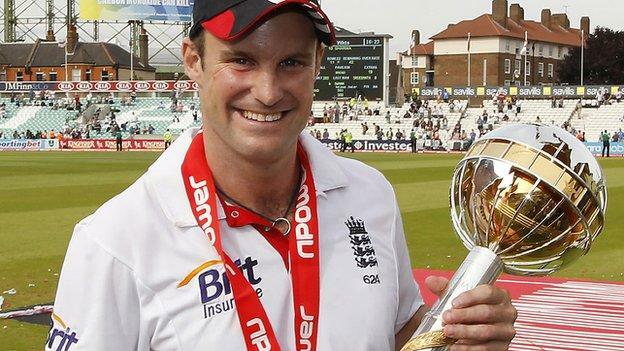 Andrew Strauss led England to an emphatic 4-0 series whitewash of world number one Test team, India during the summer of 2011, a result that installed them as the world’s No 1 Test side. However, the next 12 months witnessed a turbulent time in the English cricket as they were thrashed 3-0 by Pakistan in the very next series after becoming number one. A 1-1 draw followed in Sri Lanka and then they comfortably defeated West Indies by 2-0. However, their reign at the top ended when they were defeated 2-0 by South Africa at home.